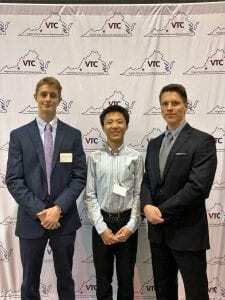 This past weekend three OLHS-MSA students represented us well at the Virginia State Science and Engineering Fair in Roanoke, Virginia. Pierce C,, Youran G. and Kristof S (shown from left to right). Pierce won 2nd Place in category and Youran received two special awards. We are so proud of them! Pierce C.’s research project will serve as his senior project which he strategically decided to complete early, as he has been selected to receive the National Security Language Initiative for Youth (NSLI-Y) scholarship. NYSLI-Y is a rigorous overseas language program supported by the Government of the Unites States of America through the U.S. Department of State’s Bureau of Educational and Cultural Affairs. Pierce will be studying Chinese (Mandarin) in Kaohsiung, Taiwan this summer. Gōngxi nǐ, Pierce! 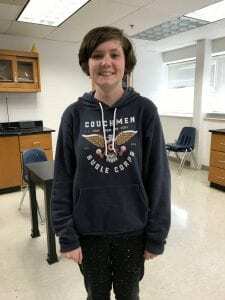 Shelbie G., who is in Japanese IV, was selected to participate in the Global Classmates Summer Summit this summer, which will be held for nine days in Washington, DC. The selection process was very competitive. However, she was chosen to be one of the six participants to represent the US students who participated in the Global Classmates program this year. 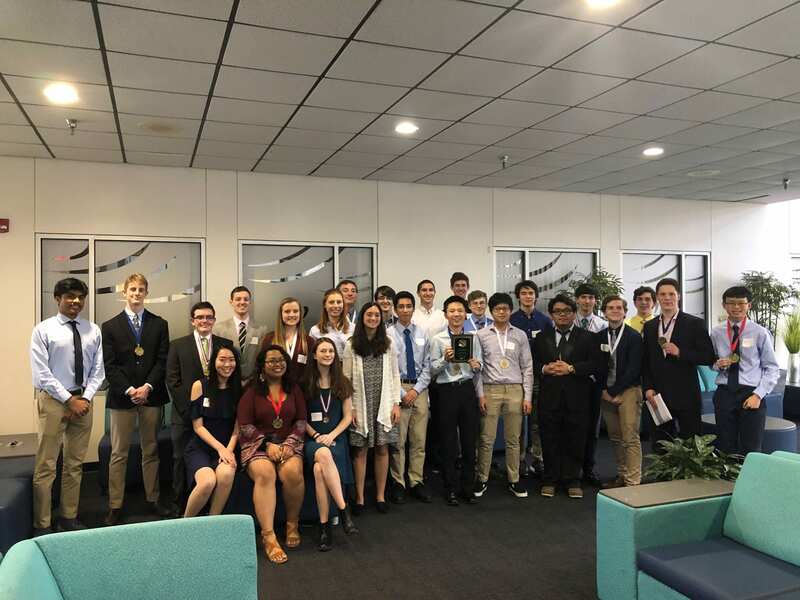 Tidewater Science and Engineering Fair–Way to Go, Dolphins! 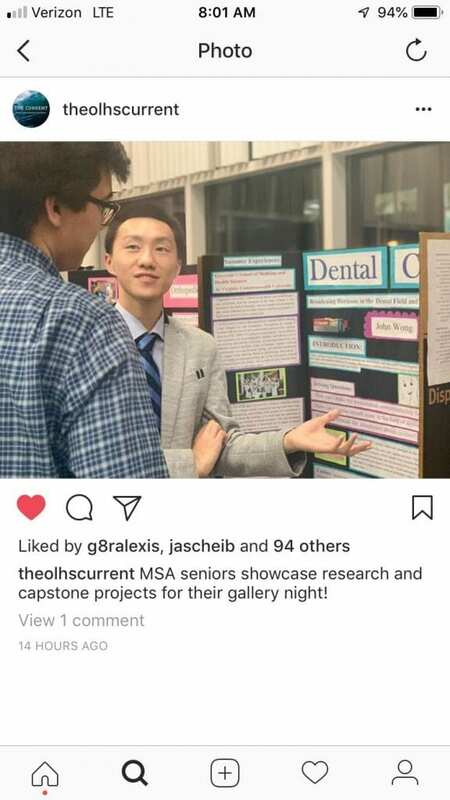 OLHS is proud of our student researchers! This past weekend, the Tidewater Science Congress hosted the 68th annual Tidewater Science and Engineering Fair. 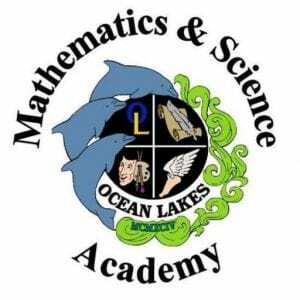 32 Mathematics and Science Academy students represented Ocean Lakes High School at this year’s fair. We are proud of all of those students who shared their original experimental or engineering design research, who answered questions posed by field professionals, and who exemplified the type of poised professionalism we hope all of our graduates will embody. American Meteorological Society: 1st – Yoland G; 2nd – Abhir K.
Armed Forces Communications-Electronics Association (AFCEA), Hampton Roads Chapter: Senior 3rd – Alan M.
Armed Forces Communications-Electronics Association (AFCEA): Senior 2nd – Evan A., Team 1st – Maren K. &, Ryoma H.
HRSD Environmental Improvement Fund: Senior 2nd – Corey C.
Information Systems Security Association – HR Chapter: Raspberry Pi Winner – Dylan W., $50 – Yoland G.
National Oceanic and Atmospheric Administration (NOAA): 1st – Corey C.
Virginia Dental Association: Science Talent Awards Program: Honorable Mention – Alan M.
Virginia Lakes and Watersheds Association (VLWA): Senior 1st – Abhir K., Senior 2nd – Corey C.
The Society for Science & the Public Award for Community Innovation: Winner: Abhir K.
Animal Sciences: 2nd place – Milind M.
Behavioral and Social Science: 1st place – Pierce C., 2nd place – Anis M., Honorable Mention: Alexander S.
Chemistry: 3rd place – Lars W.
Computer Science: 2nd place – Evan A., 3rd place – Dylan W., Honorable Mention: Marguerite B., Honorable Mention: Taylor D.
Earth and Planetary Science: 1st place – Yoland G.
Engineering: Electrical & Mechanical: 1st place – Kirstof S.; Honorable Mention: Patrick G.
Environmental Management: 2nd place – Hannah M.
Energy & Transportation: 3rd place – Dylan W.
Environmental Sciences: 3rd place – Maddison H., Honorable Mention: Duncan C.
Medicine & Health Sciences: 2nd place – Alan M., Honorable Mention: Tobin Z. Plant Sciences: 2nd place – Corey C.
First Award of Excellence: Yoland G.
For more information about this competition, please visit: http://www.tidewatersciencecongress.org/fair-day-info. If you are a community partner, please know that this competition relies on volunteers and corporate sponsorship to host this ISEF qualifier. It is the only qualifier in the region. There are so many ways that students can get involved in environmental science! 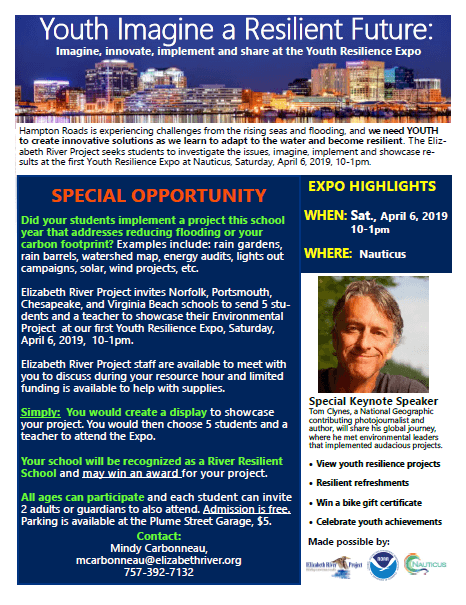 Check out this event sponsored by the Elizabeth River Project. 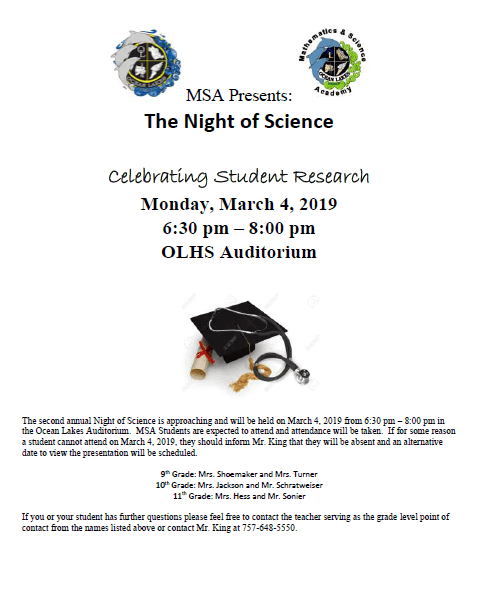 Who is excited for a night of science? 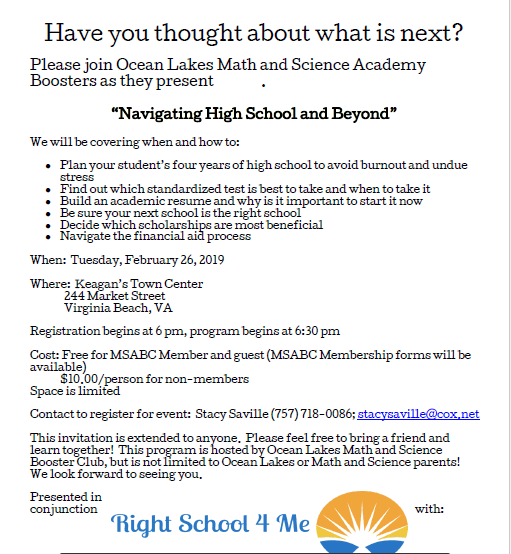 Join the MSA Boosters for this terrific event! Many of our students are interested in the intersection between technology and medicine. In fact several of our seniors this year have investigated how our smart devices can help patient efficacy. 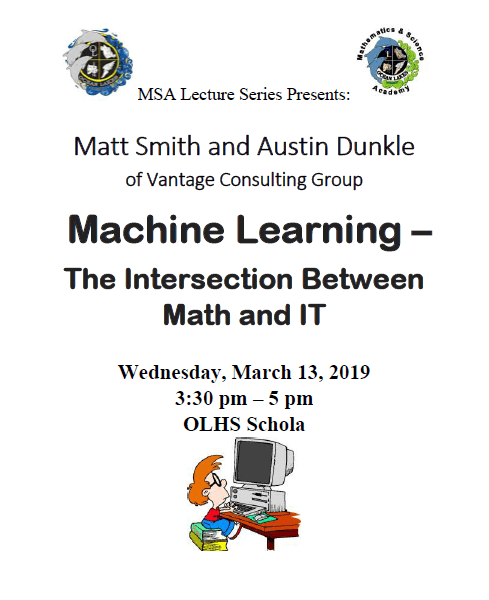 On February 13th, we will welcome our next guest lecturer who will share how professionals are investigating these same topics. We hope you can join us, too! Are you on Instagram? Consider following theolhscurrent, our school’s newspaper Insta account. Gold stars for all of last night’s senior presenters at the senior project gallery! We are so proud of the hard work you all have completed and the enthusiasm for your experiences you demonstrated for those underclassmen and community partners who came to celebrate you last night. 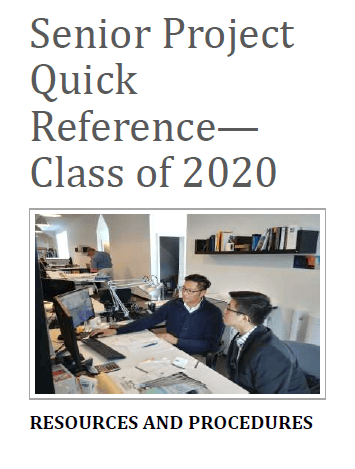 Following the gallery event, parents and students from the Class of 2020 attended a senior project information session. For those who couldn’t make it, you can peruse the presentation materials from last night. They are attached below for your convenience. If you have questions, you can call Allison Graves at (757)648-5550, extension 57764. Click on the picture to view the parent quick reference. For a parent quick reference covering the processes and resources associated with the senior project, please click on the image below. Parents–while you can’t serve as your son or daughter’s direct mentor, you could “pay it forward” by being a mentor for another MSA rising senior who is interested in learning more about your field of expertise. Please contact Allison Graves at the number above if you are interested in serving as a STEM professional mentor. AP registration has begun. 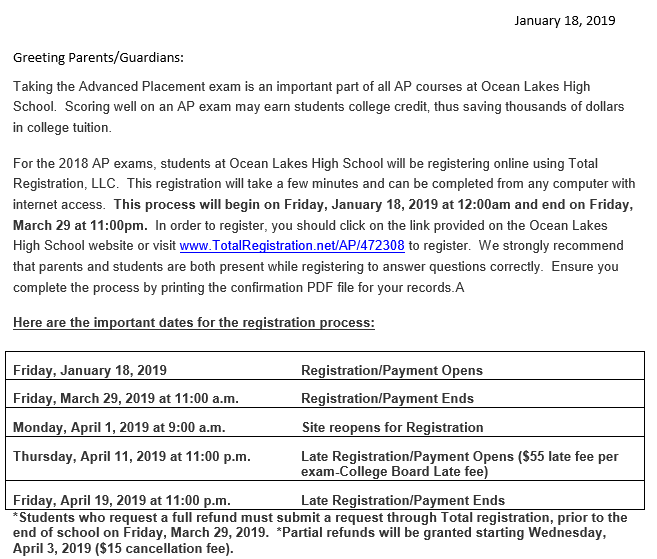 Parents, please click on the image below to read the full instructions from guidance regarding registration and to access the hyperlinks embedded in the letter. Good luck to all AP testers this year! Click on the image to read the full letter. 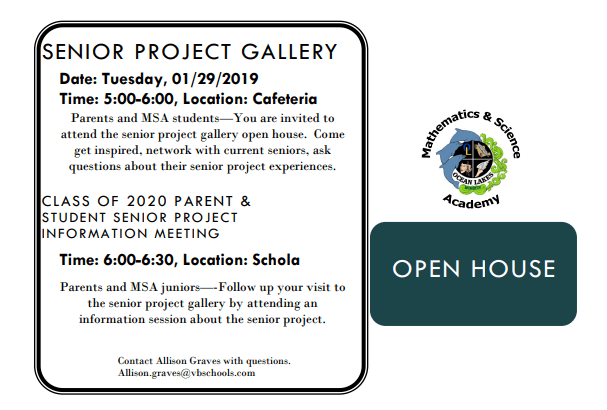 Want to learn more about senior projects? Save the date! Juniors and parents of juniors are strongly encouraged to attend. 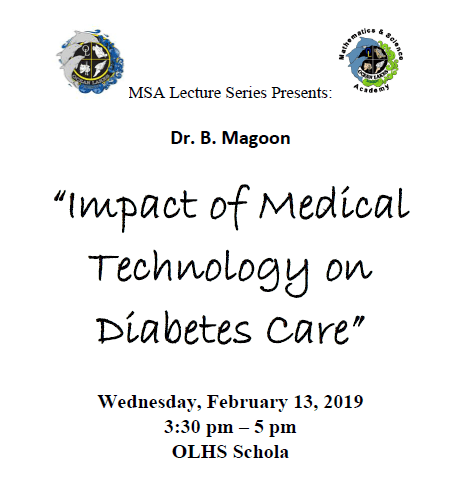 However, this event is open to all parents and MSA students. The days might be long, but the years are short. Senior year will be here before you know it! The links on this page have been identified by Virginia Beach City Public Schools as having educational value. The school division does not control or guarantee the content of the site, nor does the school division endorse the organization, its views, or services.